Since helping out at BETA I have realised what I actually want to do in life and that’s to be involved in journalism, PR and presenting. I really enjoy speaking to people and companies and love the buzz I get asking questions and writing the story afterwards. I’ve found a Uni course I’m dying to do, and I’ve been trying to pack in as much experience as possible to look good on my application, so I was over the moon to get media accreditation for the Equerry Horse Feeds Bolesworth International Show. What this means is that I had a press pass for the day to watch the show, working as a roving reporter for the organisers and broadcasting the day live on social media. This also meant that I had to gather my courage, and go up to a wide variety of people and speak to them live on air, which was very nerve wracking, I’m not going to lie! When I arrived I went to the media centre first to get my instructions for the day, I needed to know what they expected to see and hear about. I was using Periscope to go live and needed to let people know what was happening at the show, who was there and talk to people. 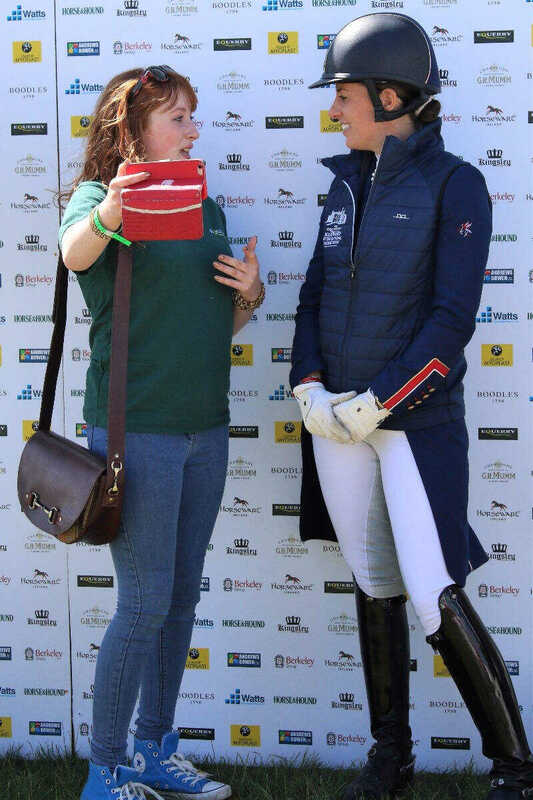 I also had to speak about the headline sponsors Equerry Horse Feed, which was great for me because they are such a good company and I am familiar with them being part of their team. My first try at broadcasting was a bit sketchy, whilst I had a good intro I didn't really know what else to do and began to babble into the camera and wander aimlessly trying to stay live continually. I quickly realised my mistake, seeing the content was so boring I wouldn’t have watched it! It was terrible. I was also struggling with patchy 3G, not a good thing when you have people waiting to speak to you and you are live. I decided from then on to only do short clips to give people time to prepare and get their courage up too as quite a lot of people really feel worried about being on camera. 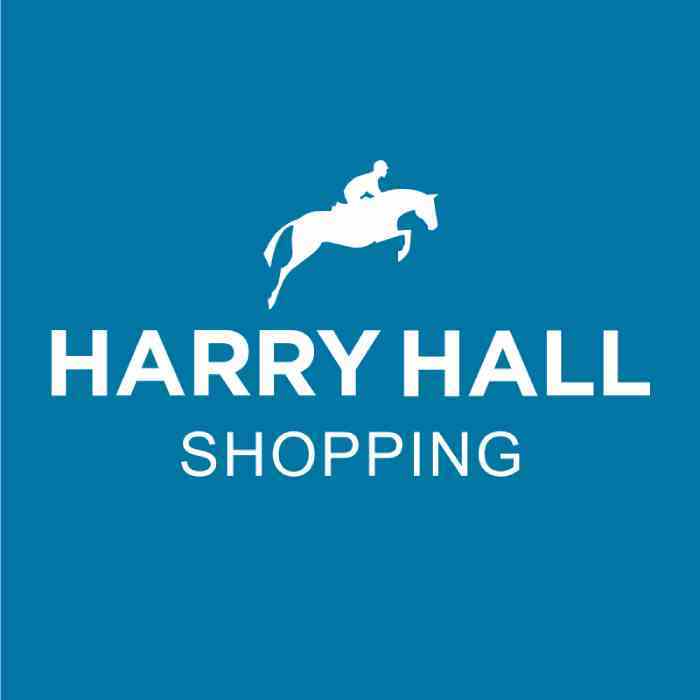 I got round to a lot of great brands and got good interviews and lots of information, such as Equerry Feeds, Harry Hall, and Masta where I found out all about One Club, the Orscana sensor and fabulous Protechmasta Infrared rug. I was so sold on this rug and it’s a real bargain if you’re a One Club member! It was really important to ask relevant questions. One thing I learned, was that if I was truly stuck for what to say when talking to a brand is question them about a product, get them to tell you why people should buy it and then simply allow them to talk. A good interviewer always allows the interviewee to talk and be the center of attention, cutting people off and interrupting is a massive no-no for this kind of day. I also spoke to The Brooke, a charity dedicated to helping donkeys mules and horses in less fortunate countries, I asked them to explain a couple of their newest campaigns and movements, such as My Hackathon and The Other Horse, you should check out the great work they do! I even got to speak to Matt Crowhurst, Horse and Country TV presenter who would be commentating on the waterboarding competition. Matt was the first high profile person I interviewed, I completely lost the ability to speak and came up with a few mangled sentences, including forgetting his last name, so that was a bit of a mess, oops! This was being live streamed too which meant no retakes were allowed, so I simply had to laugh it off and carry on, my bright red cheeks betraying my embarrassment. But the most important interview of the day was obviously with European, and World champion, Olympic gold medallist dressage rider Charlotte Dujardin. I got to sit in on the press conference with Charlotte, and you wouldn't believe the difficulty in getting in a word edgewise as the reporters just sling words into the fray, but it truly was amazing to watch. I was worried because I’d planned a few questions, just you know on the off chance I might get to speak to her but they were all asked by other people. My mind as in a spin when Charlotte agreed to go outside for my question because my 3g was patchy. What to ask??? Hiding my inner fangirl (I'm a dressage rider okay I couldn't help it) I calmly asked her about her future plans with her current horse, and factoring in my nerves it wasn't actually too bad, however I missed out on one of the points I've stressed here and that was making it relevant and recent, like mentioning the class Charlotte had not ten minutes ago won. Lesson learned, keep your wits about you! And there you have it folks, a day as a roving reporter for Bolesworth International Horse Show facing many perils such as social interaction, losing signal and more!